“WARNING: Harris County is politically incorrect. We say: Merry Christmas, God Bless America and In God We Trust. We salute our troops and our flag. If this offends you…LEAVE! 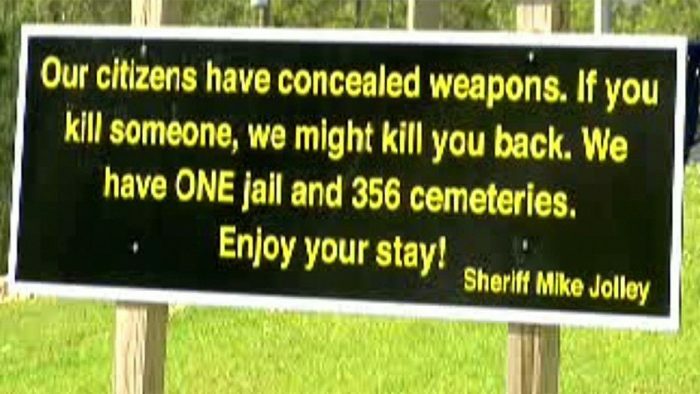 Some people are not happy with the Sheriff’s decision to post the signs, while others praise Jolley. I, personally, love it. What do you think?